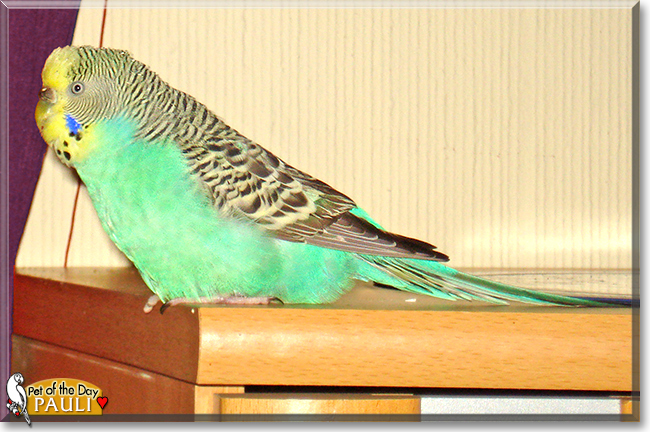 This is my pet, her name is Pauli and she is a female budgie or parakeet. 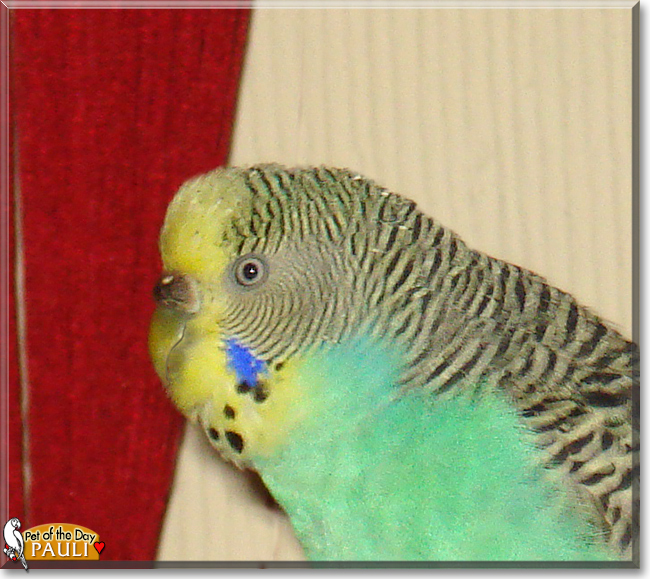 Pauli is a sweet little budgie. I love her very much.She kisses me sometimes which is very sweet. I know she is a girl because her nares - those bumps above her beak - are brown. Pauli has a brother, his name is Charly and he's a boy so his nares are blue. I love him very much too. Pauli is friendly, and likes to be be out of her cage and with me. She is a good bird, and is very curious, so some pictures I take of her end up blurry because she wants to investigate the camera! She has many colors on her, and a very long, nice tail. I love Pauli, she is a good pet. Talk about Pauli in Pet Talk!